2002. Pen & ink. 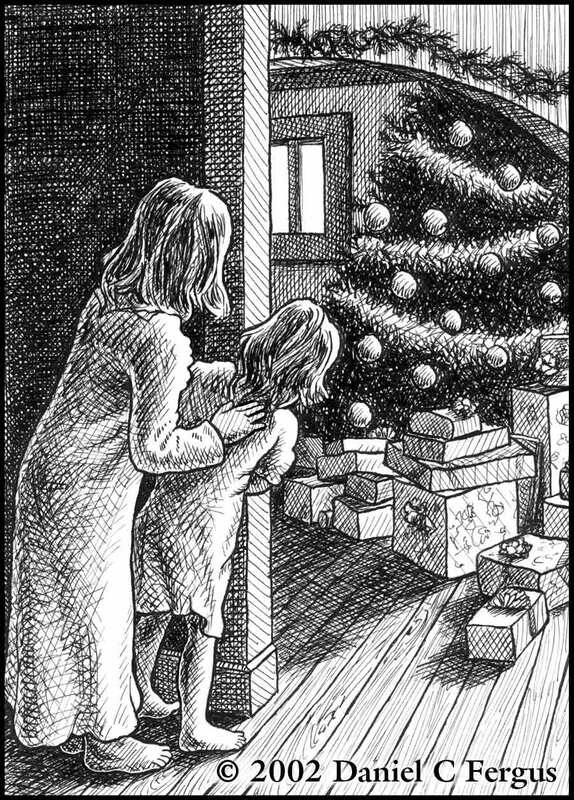 5¼" x 7¼"
This is one of my favorite drawings in my Christmas card series. I think the composition and sense of light are particularly strong, and I think it really captures the magic of Christmas morning. I don’t want to give anyone the wrong impression—we don’t really pile that many presents beneath our tree (and we make sure Santa only brings one or two gifts for each girl). It's done here for dramatic & visual effect.